Originally the LithTech engine was supposed to be called DirectEngine, as Monolith was developing it for Microsoft to be included as a 3D engine for use with Microsoft's DirectX technology. After failing to secure the deal, Monolith continued development on their own and were able to license the engine, officially renamed to LithTech, to other companies. 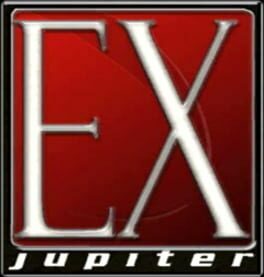 As of 2005 the latest public iteration of the LithTech engine was Jupiter Extended (or Jupiter EX), which was featured in F.E.A.R. and Condemned: Criminal Origins, both developed by Monolith. Compared to its precursor Jupiter, the Extended version was driven by a new DirectX 9 renderer and other advancements, including the addition of Havok physics software for improved real-world physics simulation, dynamic per-pixel lighting, bump mapping, normal mapping, and specular highlighting. Along with Havok's character dynamics, Jupiter EX also includes the "Havok Vehicle Kit", which adds support for common vehicle behavior. The critically acclaimed Middle-earth: Shadow of Mordor, and Middle-earth: Shadow of War uses a Modified LithTech engine.